Amp Human, the Park City, UT-based creators of revolutionary sports product PR Lotion, is proud to announce its partnership with the UCI World Tour pro cycling team, EF Education First, for the 2019 season. PR Lotion is proven to help athletes maximize every workout, ride or adventure and recover faster, by simply giving the body what it naturally uses to reduce acid: bicarb.“The innovative products by Amp Human fit with the philosophy of the team in developing new performance solutions to support recovery and performance of elite athletes. Helping to alkalize the muscles can improve the buffering of the acid produced during high-intensity exercise which may help support performance and recovery,” said Nigel Mitchell, EF Education First Pro Cycling Team Head of Nutrition. PR Lotion helps athletes maximize their workouts, do more of what they love, and come back strong the next day by neutralizing the acid in their muscles with bicarb. Trusted by the world’s best teams and athletes, PR Lotion is used before working out to help athletes push their bodies further. Watch the video here or click on the still photo below. “We are proud to partner with and support EF Education First Pro Cycling and their athletes to win more titles and maximize their training. 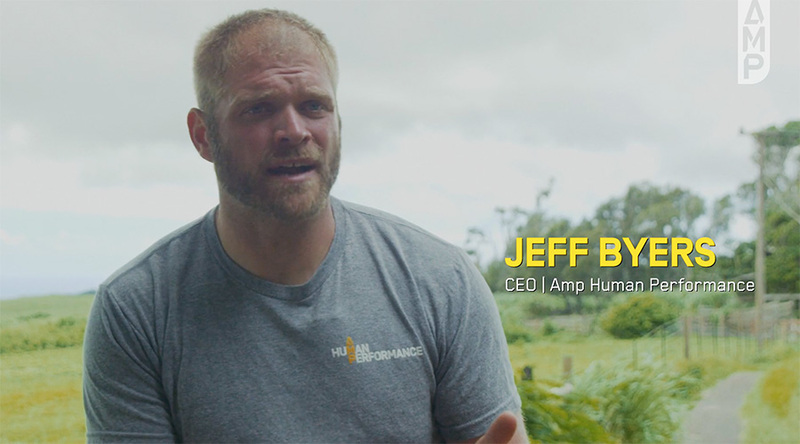 Supporting the world’s best athletes and teams is foundational to our mission and EF Education First Pro Cycling is an incredible representation of the world’s best,” says Jeff Byers, CEO and Co-Founder, Amp Human Performance and retired NFL Player. About Amp Human: Amp Human is pioneering a completely new and trusted category of tools to maximize human capacity. We’re for those seeking to get more from their body to do more of what they love. Our flagship product is PR Lotion – the sports lotion that helps you maximize every workout and adventure and also recover faster, so you can come back strong the next day. It’s uniquely engineered to use bicarb to neutralize the acid that builds up in your muscles when you train hard. Proven by science, trusted by the world’s best and guaranteed to help athletes at all levels get more from every workout and feel better the next day. For more information about Amp Human, PR Lotion, and to view the science that backs it up, please visit AmpHuman.com.